6 Minutes To Skinny Review: A Highly Subtle Scam! You are here: Home / Blog / 6 Minutes To Skinny Review: A Highly Subtle Scam! 6 Minutes To Skinny by Craig Ballantyne looks more like a very deceptive scam than a trustworthy product you should spend money on. In this review I will lay down all the facts I uncovered about this weight loss product supposedly created by one of the most recognized fitness specialists in the world. Study this review carefully because it is one of the very few unbiased reviews about this product currently online. Created in 2014 for people over 30, 6 Minutes To Skinny promises to help you shed stubborn belly fat at a rate so fast that ‘it would almost seem like cheating.’ It claims to base on ‘Metabolic Cycling,’ which is the term used to describe the timing of your body’s natural metabolic activities. 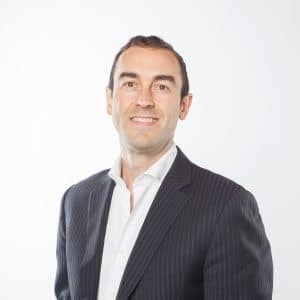 According to his personal website, Craig Ballantyne is a ‘Productivity & Success Transformation Coach.’ He hails from Toronto, Ontario, Canada. Ballantyne obtained a Master of Science degree in Exercise Physiology from McMaster University, Hamilton, Ontario, CA. This qualifies him to be a fitness coach. Ballantyne is the owner of the popular fitness program Turbulence Training. He also mentions having a 6 Minutes to Skinny program. Ballantyne is also an author and contributes articles to Men’s Health and Women’s Health magazines. He is also present on social media. Bottom Line: Craig Ballantyne is real and qualified to give advice on weight loss workouts. 1. Ballantyne Sells 6 Minutes To Skinny For $5! On his blog EarlyToRise.com, Craig Ballantyne clearly states that his 6 Minutes to Skinny program is a DVD that costs $5. However, the 6 Minutes to Skinny that I’m talking about costs $27. The $5 version of 6 Minutes to Skinny payments is handled by a secure Early To Rise page, while the $27 version payments is handled by Clickbank. This is NOT the first time I’m seeing this. In April, I alerted the world that 10-Day Smoothie Cleanse, an eBook by NY Times bestselling author J.J Smith, has been hijacked by the same scammer behind The 3-Week Diet. The impostor product currently sells at $47 on Clickbank, while the original costs $10.99 at Amazon. Bottom Line: We are dealing with a HIJACKED 6 Minutes To Skinny Program! All the testimonial photos featured on 6 Minutes To Skinny were taken from Turbulence Training sales page. The photos bear the same names and same testimonial statements. Even the photo of Catherine was taken from Turbulence Training. The scammer is so lazy that he didn’t even bother to change their names! Again, this is not the first time I’m seeing this. Fellow Canadian fitness coach Bruce Krahn did the same thing with his product Lean Belly Breakthrough. This finding leads us to these questions: Which program did those people use to lose weight, 6 Minutes to Skinny or Turbulence Training? Are Turbulence Training and 6 Minutes To Skinny the same? If yes, then why are they sold separately? I reached out to Craig through his personal website last week for some explanation, but so far, no word back. Mind you, 6 Minutes to Skinny video went online in 2014. This is 2016, and it is still online. Besides, the precious information that is about to be to sold to a TV show is not new. It has been on the internet for a long time. 2. Pop-ups. Try to leave the page, and you’ll see a pop-up blocking you. Then you are presented with the text version. Try to leave again, and another pop-up springs out. Then you are persuaded to ‘test drive’ the program for 30 days for just $1. Final Conclusion: DON’T BUY 6 Minutes To Skinny. It is A SCAM! 1. 21-Day Sugar Detox. If your weight gain is caused by bad food cravings or something similar, then this program by NY Times bestselling author Diane Sanfilippo is for you. Read this review for more details. 2. Organic Total Body Reboot. If your weight gain is caused by chronic inflammation, then this program by fitness expert Thomas DeLauer may help you. Read this review for more details. Of course, you need to see your doctor to determine the cause of your weight issues before trying these programs. Please if you have any questions or contributions to make, feel free to use the comments section. Thank you! Very informative and well written post! I found Craig Ballantyne through the Turbulence Training channel . I work out using his 4-minute videos (FREE on Youtube) and I found them to be effective in giving me more muscle tone and boosting my energy levels. Anyone can check it out, it’s all free on his TT Youtube channel.